Before we begin the module, please note that different terminology is used in Proc SQL when compared to data step. 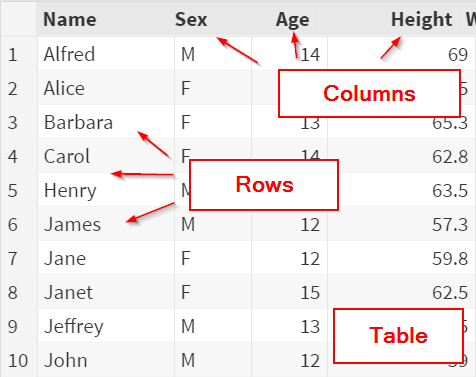 A SAS data set is called a table in Proc SQL terminology. A column is equivalent to a data set variable, and a row is the same as a data set observation.